Two reports I heard from the servitors of the Maha-Svami relating him to Bhagavan Sri Ramana Maharishi I could myself easily attribute to their creative artistry in elevating their own Master over every other holy man. Yet I wanted to get confirmation from His Holiness himself for certain reasons. The Maha-Svami, ever bubbling with wit and witticism had a unique way of saying things. He said he did not want to give the same judgment on both reports and so would call one of them as pettal (colloquial for pitatral) and the other as ularal. The fun of it si that both the words mean the same, viz., talking nonsense! To come to the two reports. One of them was that when the Maha-Svami was circumambulating the Holy Hill during his camp at Tiruvannamalai, Sri Ramana Maharishi purposely came out of his living room in the Ramana-Asrama and walked to a particular spot from where he could see the Maha-Svami at a distance. Decades back, a lad of sixteen, the Maharishi fled home to Tirvannamalai, afire with the raging ardor to see the Fire-Linga of lord Arunachalesvara. He took darsan, just one darsan, and with that the very idea of an object to be seen apart from the self was burnt out! Though he lived in the very temple precincts for the next five or six months, he did not visit the sanctum sanctorum again. To assert that, contrary to what the Asrama sources say, he did come out to see that Maha-Svami is, as the Svami himself said, nothing but pettal (nonsense). Our Acharya Maha-Svami visited Tiruvannamalai twice, once in 1929 and again in 1944, both for the Kartika Deepam festival (when the holy beacon is lighted atop the Hill). On both the occasions he also made the customary Giri-pradakshinam (circumambulation of the Hill). The Ramanasraman lies on the route. I have heard reports from two very reliable and respected persons attached to the Asramam, Sri Kunju Svamigal and Mme. Suri Nagmma about what transpired when the Maha-Svami passed along the route. Kunju Svami must have been present on both the occasions and Nagamma on the latter one. Bhagavan had already prepared the asramites not to take it amiss if the Acharya did not enter into the Asramam and see him; because, according to one tradition, one in the Jagadguru Peetham (Seat of the World-teacher) must not call on another holy man on his own. As for himself, though he did not say it, he would not extend an invitation to anyone for the simple reason that he did not have any desire or need to see any body, anything. As for the asramites, they could, if they so wished, gather outside and have darsan of the Acharya as he moved along. And most of them did. The asramites had great respect for the Acharya, especially by the forties, because it was he who almost compelled Paul Brunton the Maharishi's feet, and it was Brunton's soulful account of the Maharishi that threw open the window of the West of the light of the Illumined Master. The book clearly shows that the Acharya considered the Maharishi as "a high master" who can give "initiation into the real yoga of the higher kind". In one of his discourses in Madras in the early thirties, the Acharya had raked the Maharishi, whom he referred to as Ramana Svamigal, among the jivan-muktas (liberated even while living in a body). The asramites were naturally happy that the respected head of a Sankara Math, uncompromising in such matters, gave such praise to the Maharishi in public. On both the occasions of his visit to Tiruvanna malai, the Acharya turned his eyes towards the entrance of the Asrama, stopped for a few seconds looking round and continued to walk, a still picture in motion! Reminiscing the second visit Nagamma said, while all the other asramites went out and waited at the gate for His Holiness, she alone was left with the Maharishi. "Why have you not joined them?" he asked her. "Because the Svami does not see Brahmin widows who have not shaved their heads", Nagamma replied. Though mature and tolerant not to denounce the orthodox custom, she felt a tinge of sadness. The Maharishi just nodded his head and looked at her with compassion, The compassion assuaged her sadness. The simple nod too conveyed a lot to the discerning disciple. It signified the Maharishi's acceptance of both the Acharya's adherence to the institutional customs, and Nagamma's wisdom in not following the other such windows who used to peep at the Acharya from a hidden place. Here comes something antipodal between the Maha-Svami and the Maharishi. the former stood foremost in strictly observing all the distinction laid out by the Dharma sastras and orthodox traditions, whereas the latter stood foremost in practicing equality. Even to merit the glance of the Maha-Svami one had to fulfil conditions; a millionaires Brahmin widow was disqualified if she was not tonsured! On the other hand, even an untouchable beggar could sit right by the side of the Maharishi and eat along with him. Nay, if he so felt, there was no restriction to his feeding the Maharishi from out of the alms in his begging bowl! How rude, crude and cruel does the one appear and how suave, soft and sweet the other? How is it that the Sweet gives his nod of approval to the Cruel? If the Sweet cannot appreciate the Cruel, equally true is the vice versa. But whereas the Sweet's appreciation of the Cruel came out in `just nodding,' the Cruel's appreciation of the Sweet came out in a verbal flow. That was in the public discourse given by the Maha-Svami the very night. To quote Nagamma, "The Swami spoke at great length saying that every head of a religious organisation has to observe established traditions while one who is an Athyasramite (one transcending the four stages of life prescribed by the Dharma Sastras) has no such inhibitions... (To) attain that state is very difficult and that had been possible only for a great soul like Ramana Maharishi." The devotees of the Maharishi exulted at this unstinted tribute the Acharya paid to their Master in their home-town. But close on it wake the Acharya gave a rude shock to them. They felt that he had dealt a direct blow on what they held in worshipful respect in the Asrama, viz., the temple over the spot where the body of the mother of the Maharishi was buried. When she passed away, the Maharishi favoured the idea of putting up such a structure because in his view (which was not just a view, but perception of truth) she was a Sannyasini who attained the Jnani's liberation of Oneness. Vedic priests offered their chants and ritualistic services at the temple as they did in any other `regular' temple. But, to their dismay when they went after one such service there to participate in the evening Puja at the Acharya's Math, they were asked to enter only after taking a purificatory bath. Because, first of all opinion was divided among the orthodoxy on first of all, opinion was divided among the orthodoxy on the very question of the eligibility of women for sannyasa; and even if that was accepted, the mother of Maharishi was not initiated to that order in the formal, scriptural way. So the place of her burial was just a grave-yard (which pollutes the entrants). The directive of the Acharya to the priests struck the asramites as a bigoted, book-learnt judgement over the intuitive judgment of their enlightened master. As most of the priests were also devoted to the Maharishi, they were deeply perturbed when the Pontiff, who was the bulwark of the priestly tradition in the changing world, pronounced the stricture. Early next morning the asramites and priests went to the Maharishi. In spite of the asramites' efforts to restrain themselves before their august Master, they could not keep their tempers. They complained about what all `that Svami' was doing with his differentiating outlook in contrast to what `this Bhagavan' was doing in his all-embracing outlook. "The priests want to give a reply to him. (They actually wanted to teach him a lesson!) Bhagavan should give the reply." As ever unruffled, the Maharishi heard it all and in his stately composure gave his judgement on the judgement of the Svami on his previous judgment. It was Neutrality itself that spoke! "Why say that person, this person? Say there, here. That is the correct expression. Viewed so, what all has happened will also be understood as correct. (For the benefit of the Tamil-knowing readers, let me give the original simple, concise and powerful words of the Maharishi as faithfully conveyed by Sri Kunju Svami: That is an orthodox Peetham, and this an independent ashram. Who ever is here would be like this. So long as that svami is the head of that Peetham he must only follow (more precisely, `demonstrate', because the Maharishi said not the ways and rules of the Peetham. He had therefore issued that directive. "Why reply? Then there will be a counter to it, a counter to the counter and it will go on like that. (Looking at the asramites) Let us carry on in our way silently here, come. The others may withdraw. let not anybody raise questions and arguments." Is it not clear that Maharishi considered the Maha-svami to be a Brahma-jnani in reality who was just `demonstrating' certain ways because he happened to be in a certain place! The Brahma-jnani alone can take the colour of any surroundings. Chameleon-like? But the chameleon does that to save itself; the jnani, to save the surrounding! The particular surrounding of our Brahma-jnani conferred on him the uniqueness of being the only Maha-Purusha of the recent times to apparently bind his state of unbound freedom with shackles of the strictest codes of the orthodox tradition. Much in it would be rude, crude and cruel in the eyes of the changing free world. But in Nature's order freedom too must be balanced by discipline, which is another name for restraint. When almost the whole world plumbed in for freedom and its consequent break from the past to its rude, crude and cruel extreme, it was as though Nature threw up the Single Entity on the Acharya to counter balance it by his total adherence to the past tradition in its extreme form. Though noble motives and ideals are not lacking n the Modern Movements, in actually it has only `helped its adherents in self-pampering in various ways. In contrast, however base orthodoxy appeared to be, people saw with open eyes in its Ace-adherent the living example of self-paupering. They realised that he was more `cruel' in his self-denial than in denying them the many rights they clamoured for. It was the power of this self-abnegation, added to that of his unbounded love deep within, which knew no differentiation, that gained universal respect for him. But human nature being what it is, respect gives way to remonstration when personally picked. That happened with the Ramana-asramites too. But the Maharishi, who had no person to be pricked, dissolved it by counseling sympathetic acceptance. 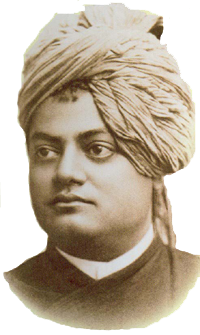 Bhagavan always sported the sacred daily on his forehead. I felt a need to open a thread on Vibhuti, to extol the greatness of Sacred Ash. We Indians have always considered it inauspicious to leave the forehead empty. These days, unfortunately due to times, most even hesitate to sport Vibhuti even in the size of small bindi as being socially unacceptable or being judged! There are so many benefits by sporting the sacred ash which we are not aware of. It wards of evil, negative energies around you. You will not attract unnecessary attentions. Most of all, you will be worshipful, as the Sacred ash is Lord Shiva Himself, one who sports it traditionally - when we even look at them, we feel a sense of spiritual fervor, people automatically become respectful towards the ones who sport Vibhuti. There are added benefits, Sporting Vibhuti encourages you to engage more in the activities of God. Prayers and Anushtanam are naturally motivated. It is a motivational factor. It is also a wonderful catalyst! With the evolution of too much Vedanta, i.e. the (essence alone) in our times, we have given up the time tested habits followed by our ancestors, in sustaining the Vedanta with well nourished Daily Anushtanams. In the same lines, even wearing a Japa Mala, such as Tulasi Mala, Rudraksha Mala, Spatika Mala, all help the aspirant upwards! Adorning them, one actively keeps off the negatively influencing energies. Most of all, they are constantly reminding you to remember God, His Gunas, His Tatva. This attempt is to encourage this message among all Astikas. The holy Ash is the substance the devotees wear on their bodies with adoration and respect. This along with the rudrAxa beads (1) shows up the devotees of the Simple but Supreme Lord shiva. The holy Ash has lots of spiritual sense. There are lots of hymns telling the glory of the holy Ash. ((2) - for example). Ash - the substance that is arrived when things are completely burnt off. In natural terms it is a final state. The state where it has nothing left to burn off ! This indicates the transience of the beings and the Permanence of the Supreme that smears in this ash. This also indicates the matured state of bliss the devotees would be heading towards which stands beyond perturbance - transformation (nothing to burn off). The purANic events associated with the holy Ash show its significance. When the three daemons of impurities (tripura) were burnt down by the mere smile of the God, the ash that remained got settled on the Lord, Who danced there. Thus the tripurAri was smeared in the Ash that came out of burning out of the three impurities. When the cupid - the deva of lust, tried to fire his arrows on the yogic Lord, he was burnt by the Lord into a heap of ash. The unruffled Lord appeared decorated with that ash. At the times when everything reduces unto It, the Everexistant Lord wears that ash. Are we truly going within? We may easily get used to a spiritual routine and miss the main purpose... it is a matter of fact that we are alone and how well are we acquianted with ourselves can only be known in times of solitude. is it simply enough knowing that you are the Self and Brahman and you are untouched? This article may open gates to deeper insights. I have posted a couple of excerpts... kindly follow the link if it be of interest to you. A sincere disciple, a seeker, one day put a question to me: ?If I have to enter the Absolute today, what sadhana should I practise?? While I appreciated the question very much, I also felt the seriousness that is involved in not only the question itself, but the background of the entire thought process in this connection. My answer to this question was at once: ?You have to melt into liquid and become one with everything. This is the sadhana that you have to do if you want to enter the Absolute today.? But who is prepared to melt into liquid? We are hard as flint. Even flint is not as hard as we are. Our attachments are very severe; even iron chains are not as strong as our attachments. But we are self-deluded people, under the notion that we have no attachments. We are immersed in a quagmire, but are under the notion that we are walking along a beaten track which takes us straight to God. A great thinker and mystic once put it in a beautiful style: The path spiritual is the flight of the alone to the Alone. It is not a multitude going to God. Such a thing is unthinkable. Very important it is to remember that we are alone in this world even now. Even today, even at this very moment, we are alone. We should not be under the impression we have got many friends around us. This is a false notion. The so-called friends and relations that we have around us in the form of human beings and possessions of various kinds are a false environment created around us to delude us and dupe us into the wrong path. These possessions, friends, relations, etc., are not going to help us when we are in a critical moment or in time of danger, because our relationship to people is artificial. Anything that is artificial will not last long. Our connection with other people in this world is not genuine, not natural, not organic; and, therefore, it cannot work when the time for it comes. Why is it so? It is because, to put it in a very philosophical jargon, the connection of a subject with an object is makeshift. It is a contrivance brought about for sensory perception and a false feeling of fulfilment, and for bringing about a sense of satisfaction to the ego-ridden individuality. Please do the needful and spread the word. I just signed the petition "Please do not cut the trees on the Girivalam Path" and wanted to see if you could help by adding your name. I intend to post some articles that reflect on Death. I welcome others also to contribute if you find something worthy. As a humble devotee like everyone of you, i felt an urge to convey that the devotees may please be informed that it is best to refer to the materials and books presented and sold by the official website of Sri Ramanasramam alone (http://bookstore.sriramanamaharshi.org/) As the works available in here alone can be considered the most authentic for your study and reflections on the teachings of Sri Bhagavan. In todays world, in times of information overload, in platforms such as Internet, there are plenty of information and in-depth information, analyses and deep study in to the teachings of Sri Bhagavan. Devotees are best advised to not take these materials as granted. Do not even depend on the information available here in this forum for granted. Always make sure about the authenticity of the words, statements, observations by Self Effort by checking if they genuinely stated by Sri Bhagavan. There are random information and studies available everywhere, it could prove be a great stepping stone in ones sadhana that might end up creating needless confusions. This is not to discourage reading the various information available instantly. There is a reason by we need to pay some money and buy books, for our study, than that of simply downloading pdf files from internet for free! Keep simple things fist. Go by the Rules. It will never fail. On the day of Varalakshmi vratam, women clean their homes and decorate their front yards with rangolis (colorful designs traced on the floor). Later, they take a bath and deck themselves with beautiful clothes and jewellery. They then begin the process of performing the vrata by first arranging the kalasha or sacred pot. They fill the pot with rice and water which symbolize prosperity and cover it with mango and betel leaves. They then place a coconut smeared with turmeric and vermilion on the kalasha and decorate the coconut with a new cloth. Some people decorate the kalasha with jewels to make it look more beautiful. They place this kalasha on a plate filled with rice. The main puja begins by worshiping Lord Ganesha, who is believed to drive away all obstacles and evil forces. Later, goddess Mahalakshmi is invoked into the kalasha. They then worship a couple of torams (a bunch of nine threads with nine knots) and tie one to the kalasha while the other one is tied around the right hand wrist of the woman performing the pooja. Later, they chant the Lakshmi Ashtottara Shatanamam (a list of hundred and eight names in praise of the deity). They then offer the goddess nine varieties of delicacies including sweets and savories. In conclusion of the vratam, they sing hymns in praise of goddess Varalakshmi and invite another married woman assuming her to be goddess Varalakshmi and offer her sweets. That evening, they invite all the neighbor women to their homes and offer them tamboolam, an offering consisting of betel leaves, fruits, betel nuts, vermilion, turmeric and dakshina (money). They collectively sing songs in praise of goddess Varalakshmi. The festival concludes today, after the Goddess graces the house of the performers in person, now says goodbye in her physical form and would continue to guide as formless source of inspirations, in the forms of Guru and Elders. These are not mere rituals, for one who performs with real faith, that Goddess really comes to our home, She does come and it can only be felt by those that see Her to be Real, and for such ones, when festivals conclude, it brings some nameless sadness. Like how a mother would feel when her daughter is leaving her home soon after marriage. But how ever, the Goddess leaves with a promise that She would return again next year. Each festival is a divine experience, one has to experience them and not just do it as mere ritual, doing it mechanically. One should have faith, if the formless has become numerous forms, is it impossible for that Formless reality to manifest in our glorious festivals? can there be poverty, hey mind? can the intellect be ever in a confused state? can you still feel distressed, hey mind? after getting absorbed into the cool bliss flowing like a flood? can there be even an awareness of it? ?Perform actions established in the state of the Self? thus spoke the Lord (Krishna) ? hey mind! be ever afraid of the earth? the ocean of the luster of the Self and sport, hey mind? let us wade through it and get excessively intoxicated! Going as per the divine instructions, "Devotees are requested to create one new album called the pictures of Brahma gnanis and preserve the pictures of Brahma gnanis in this album like a great treasure and worship them and progress in their sadhana towards enlightenment." i am also urged to start this topic titled "Pictures of Brahma Gnanis". Devotees when inspired may share any pictures of Brahma Gnanis. Salutation to the Divine Guru, "Effulgence"
The meditation on the form of Sri Satguru brings clarity This is one of the teachings from saint Thirumoolar. The worship and meditation on the forms of gnanis who had realized the formless consciousness within is considered as a great meditation for receiving the blessings of gnanis and to progress in spiritual sadhana. So, for remembering the forms of many Brahma gnanis and to receive their blessings, we are sending a graceful picture of one great Brahma gnani each month along with the swathi pooja letter from January 2014 onwards with a brief note about the gnanis on the back side of the photo. Devotees are requested to create one new album called the pictures of Brahma gnanis and preserve the pictures of Brahma gnanis in this album like a great treasure and worship them and progress in their sadhana towards enlightenment. For this month swathi pooja, we are sending the picture of the great Brahma gnani Lord Jesus. ~ Sri Sundaram, attendant of Sri Annamalai Swami. Turn in, the kingdom of God is very near to you. One cannot serve for both God and worldly affairs. In my break, it discerned within that in general, people are aware their problematic emotions and the wisdom that they need to be overcome. Even in scriptures and in the words of Guru, one learns that one has to go beyond these emotions and stand untouched. But they do not have the "know-how", We know Bhagavad Gita says we have to be neutral in heat and cold, insult and praise and so on, "but How?" is the real problem. In general we see that most times, unless one who is really intense in even inquiring the source of 'I' which is experiencing the heat, one gets stuck in such problematic emotions. This thread would focus on such quotes and articles that would facilitate showing light in going beyond these problematic emotions.